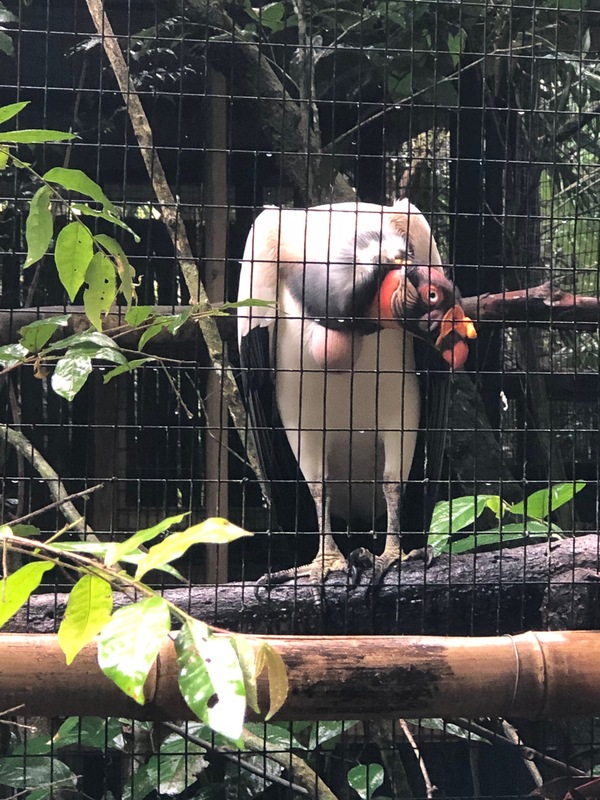 If you remember from my previous post, I decided to do my enrichment project with Max, the King Vulture at the Belize Zoo. Because these creatures are scavengers, I wanted to develop an enrichment where they could get the sense of picking and tearing at meat from a carcass. 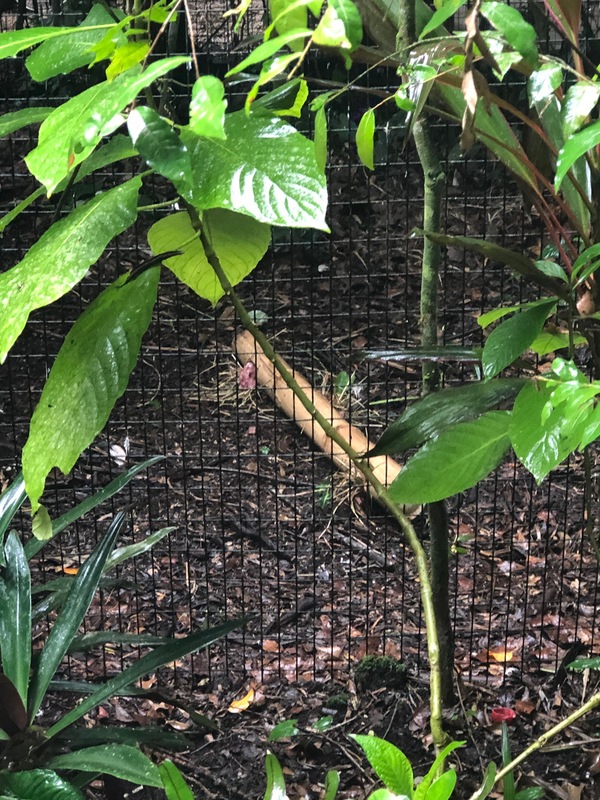 So with the help of the zookeepers, we created hollow holes in a chunk of bamboo and then stuffed the holes with hay and chicken and liver meat (Max’s favorite). 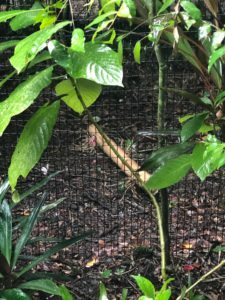 When we put the bamboo creation in his cage, Max, the attentive raptor that he is, took note of it but stayed away from it. He kept watching me, watching him. We left him in his exhibit for about 20-30 minutes and when we came back, it did seem as if Max entertained the enrichment for a little bit. Hay and meat and been pulled out from the bamboo holes and the crop, a specialized digestive organ that stores food before officially being digested, was enlarged, indicating that Max did indeed eat something from the enrichment (see the picture below). I guess he just wanted some privacy. That day at the zoo, we also performed necropsies on an array of animals. Along with other students, we performed a necropsy on a pelican. I learned that a lot of waterbirds have pockets of air that lie just under the skin. It literally feels like bubble wrap! 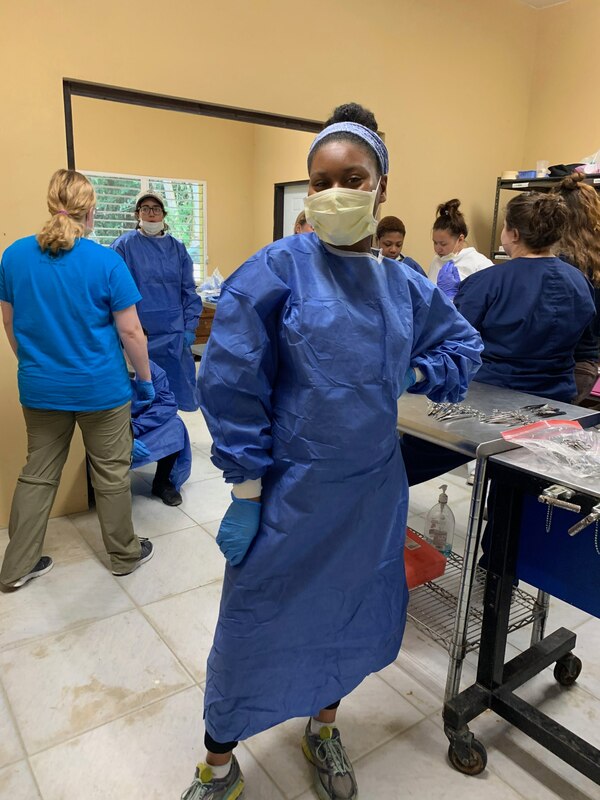 The necropsies were a nice refresher in anatomy, the major organs and the specializations that accompany birds and the differences between avian and mammal species. On our last day in Belize, we gave our presentations about an aspect of Belizean wildlife that we found interesting. It was insightful to listen to other student’s presentations and hear what each student personally took away from their experience in Belize. We also got to see the fruitfulness of our day in the Savannah, where we set up camera traps and bird mist nets. We caught a jaguar on one of our cameras! 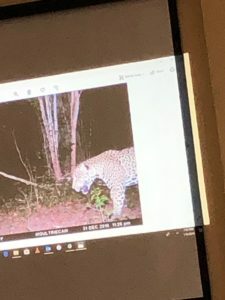 Jaguar picture captured by one of our camera traps! It felt so good to be able to catch such an elusive species by one of the cameras that our group set up! It was a rewarding ending to the trip!